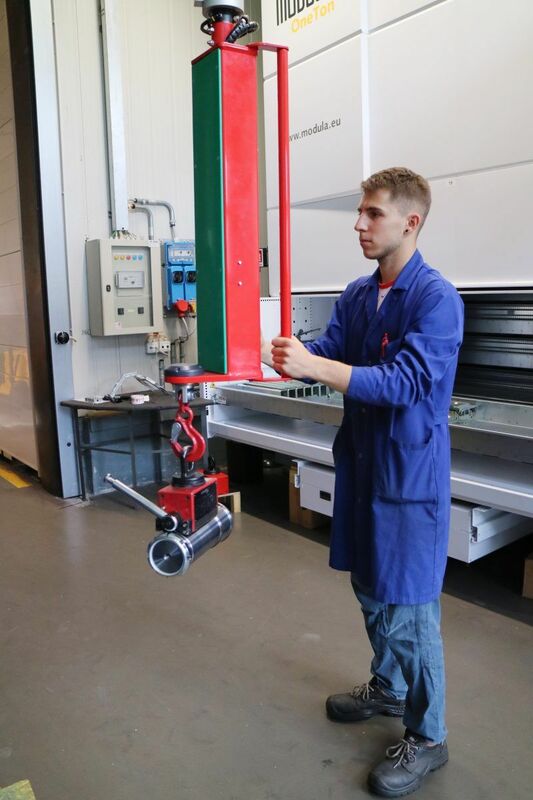 Manipulator Partner Equo, column mounted version with base to be fixed to the floor, designed for the loading and unloading of automated warehouses. 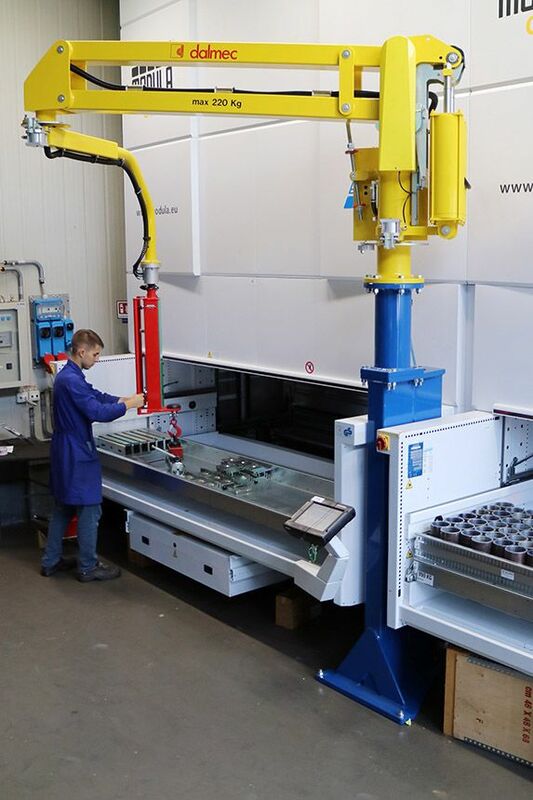 The manipulator equipped with gripping magnet enables the handling of metallic products having different shapes, weights and dimensions. 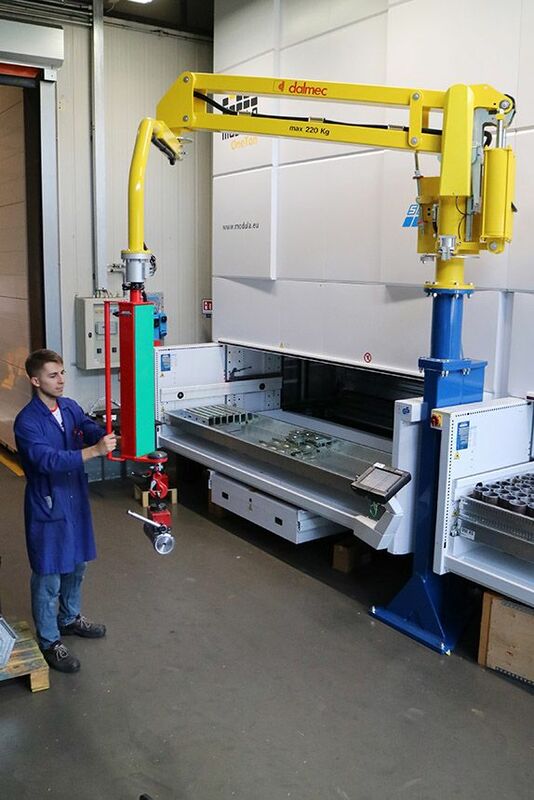 Gripping magnet coupled to our lifting device Manipulator able to handle metal pieces of different shapes and sizes weight.